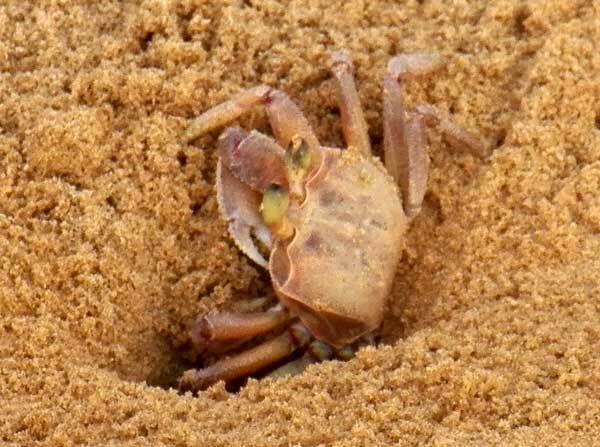 Observed at the Indian Ocean shore at Malindi, Kenya, Africa. April 2011. There are tens of thousands of crab species. My hope is that a specialist in crab taxanomy will be able to put a good name on this photographic specimen. Copyright Michael J. Plagens, page created 14 April 2012.